The trend for better, stronger, faster in street racing shows no signs of well, slowing down. But what makes this different, is that the cars are all electric. Literally. 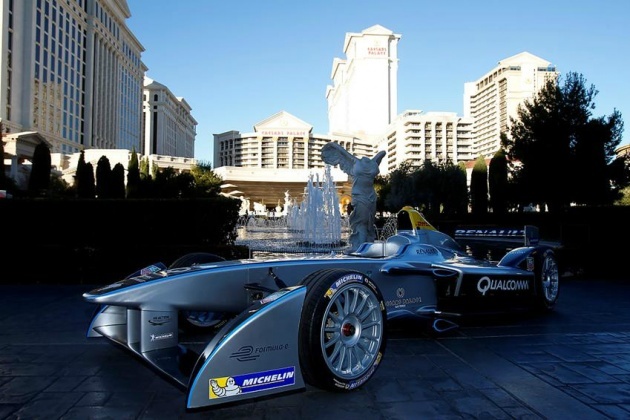 Formula E will launch in September with 300 horsepower electric motor cars racing through the city center in cities such as Los Angeles, Miami and Monte Carlo, long considered the crème de la crème of Formula One auto racing. Petrolheads may scoff, but the Formula E car has a top speed of 150 miles per hour. It made its first public debut in January on the streets of Las Vegas and has the support of some of the most credible names in the autosports arena. Championship-winning F1 team McLaren assembles the motors, luxury watchmaker TAG Heuer takes care of the timing, F1 Team Williams supply the batteries, Michelin provides the tires, and Renault is the technical partner. Meanwhile, actor Leonardo DiCaprio lends his starpower to the list of team owners, which also include Audi, ex-F1 champion Alain Prost and Sir Richard Branson’s Virgin Group. The world will see the cars in action this September when Formula E makes its debut in Beijing and a new era of racing beings.